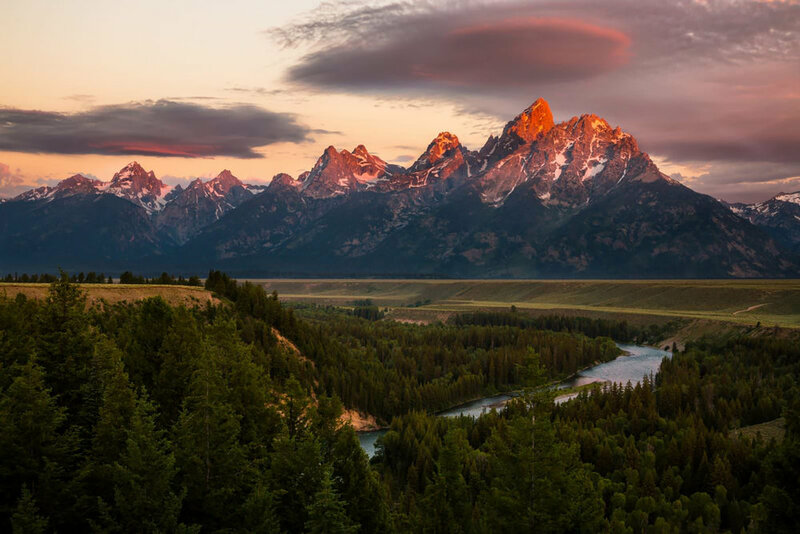 If you know anything about Ansel Adams, you have most likely seen his iconic image from the Snake River overlook. The very spot he took this famous picture is right off of the main highway US-191, with one important caveat. The location is there, the S in the river is there, and the Grand Tetons are there, but the trees have grown in the past 75 years and are much taller now, blocking the view for the lower left part of the S in the Snake River. This is still a great place to visit. Under the right conditions, you can capture your own Snake River overlook.